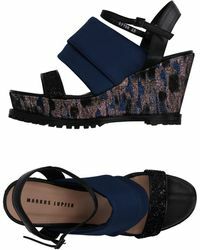 Markus Lupfer has earned a cult following for his namesake brand since he started designing in 1997. Renowned for embroidering iconic and playfulny imagery on T-shirts and jumpers, his revamping of wardrobe essentials is done with wit and intellect. 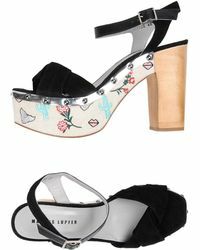 Markus Lupfer's line of stylish heels takes on the brand's playful and finely crafted signature style. From dazzling and glittery heels to vibrant colour-blocked chunky sandals to embellished nostalgic jelly sandals, this line is perfect if you want to make a fashion statement.